Although it is not summer yet, it is time to write some short TV reviews. Here is a recap of the themes and reveals (SPOILERS) from Season 2 episode 1 of Penny Dreadful, “Fresh Hell”. Vanessa is barraged by an onslaught of disturbing occult images brought on by the mysterious Madame Kali. Because of the massacre he committed in the Mariner’s Inn, Ethan believes he needs to leave London. Dr. Frankenstein works to bring Brona back to life while under the pressure from Caliban, who, in search of work after being let go at the Grand Guignol, applies at a wax museum. After Mina’s funeral, Sir Malcolm returns to London to discover that a whole new evil is hunting Vanessa. As it was in Season 1, there is a main theme that the characters on Penny D all seem to believe in: Can and should they try to vanquish evil, while knowing that there is an evil inside of them. The question is: Will that “evil” or I would call it their “beastly strength” destroy them or their friends before they get a chance to finish off the evil forces around them? The Victorian oppression of letting your true feelings and true self from showing was a big theme for the characters and was best exemplified in this episode by the Creature’s reluctance of accepting the beauty within himself, and instead taking a job at a wax museum where dead things are given life for the public to gawk at. Is this the Creature’s fate (to be gawked at) or is there hope that he will be accepted for the kind heart within him even though his face is horrible. The spiritual world is both intriguing and dangerous in Penny Dreadful. This was exemplified by the pure and white snow being coated in red blood at the attack of the strange witches who seem to be able to appear and disappear from sight. Ethan realizes for the first time possibly how dangerous he can be to anyone even old friends (or foes). So much so, that he wants to leave Vanessa and those that offer him a chance at redemption. It caught me a bit by surprise that Vanessa had no real clue of his supernatural abilities. I guess her and Malcolm mainly wanted a gun for hire (last season). Mrs. Malcolm has always resented his journeys to Africa and believes he went totally for selfish reasons. It remains to be seen if this is really true, but perhaps Malcolm went there for reasons that weren’t selfish. Obviously their partnership was strained when Peter died (and his body was left in Africa) but now it is totally ruined because of Mina’s death. Poor Brona Croft. First Dr. Frankenstein killed her, now he is in love with the idea of a new life for her (without her consent) and then he is going to give her to the Creature. Will she remember Ethan in her new “undead” form? The “witches”. Kinda boring in a way. It seems their only job is to provide the Master his desired “marriage” to Vanessa/ Ancient Deity. It doesn’t make sense to me why they would want to put a barrier between themselves and the Master (of evil). This reminded me of both Buffy the Vampire slayer and the Strain. Not good. I hope this is just one of the story lines this season and not the main one. Well we are back a little earlier than I thought. I have already received (via my DVR) the first episode of Penny Dreadful season 2. Look for a review in the next couple days. 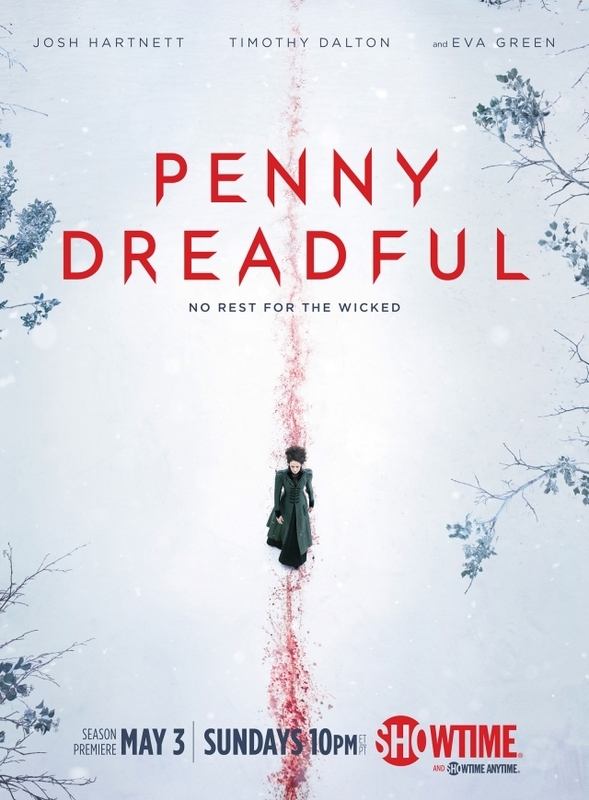 The official start date for the show is May 3rd, but you can catch it online right now here: Penny Dreadful Season 2 Premier on Showtime online – click here to watch. 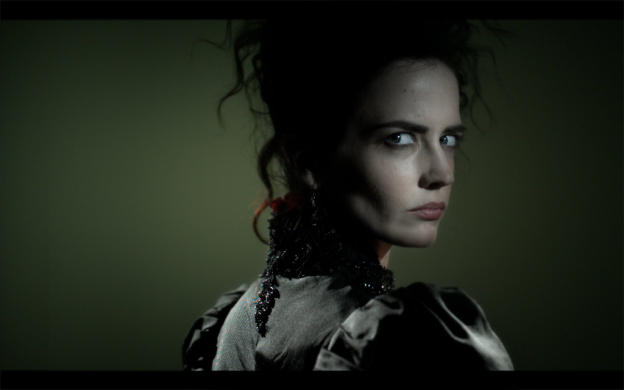 Penny Dreadful S2: No spoilers. I hope Showtime knows what it’s doing putting Penny Dreadful on the same night as Game of Thrones. Of course it seems like all the best shows are on Sunday. I know absolutely nothing about this season other than the season 1 cast and crew are all returning… and I like it that way (both the cast and that I will be surprised). The spiritual world is both intriguing and dangerous in Penny Dreadful. That is what I wrote last year and it’s the main thing I am looking forward to this season. What about you? 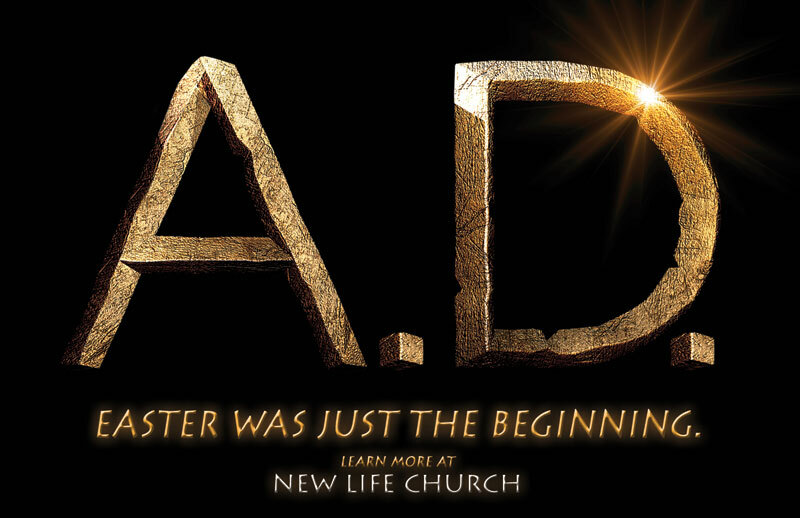 You can free stream the entire first three episodes here: NBC’s free showing of A.D – The Bible Continues. This week we focus on the anticipation of the arrival of the Holy Spirit, which is a very mysterious thing to me. Jesus says the disciples must return from Galilee to Jerusalem to wait for the spirit to come. At the spirit’s arrival they will be equipped to declare the message of Jesus’ coming kingdom to the people of Jerusalem, Samaria, and all the “known” world. I put known in quotations because very long sea voyages were difficult and dangerous in those days. So to the disciples “the world” to them was the area around the Mediterranean sea. But I am getting ahead of the story. At this point they are waiting. While they wait a lot of politics are going on at the Temple where Caiaphas and his wife receive a visit from the widow of a loyal temple guard who was at the tomb when Jesus’ body disappeared (last week we found out Jesus did not disappear, but rose from the dead). The guard was killed but the wife can’t understand why she doesn’t receive honors for his service (money and a decent burial for her husband). Of course we know the answer was that he was killed by those trying to cover up the fact that the body was not in the tomb and that Jesus had predicted this event. We also see Pilate and his wife discuss his murder of the roman guards who were at the tomb. She is disgusted that Pilate killed them in their own house. Pilate has just about had it with all the events that have spun out of his control. And to make matters worse, the son of the roman puppet king Herod comes for a visit for Pentecost (I think it is a celebration of the giving of the law by God to the Israelites). Herod Antipas as he is called, wants the Romans to leave the temple area so that the pilgrims may enter freely and enjoy their celebration. But Pilate takes this instead as a challenge to his power. So he decides to increase his power of the temple and symbolically decides to visit the temple and to enter in the gate reserved for the Israelites. (Romans are Gentiles and must enter through a different way or gate). When Pilate shows up at the temple, Caiaphas cleverly tries to convince the crowd that this breach of protocol is because Pilate wants to make an offering ( a gift) to cleanse Pilate of his sin. But Pilate can’t speak Hebrew (or Aramaic) and has no idea what Caiaphas is saying. As Pilate leaves, the Zealots try to mount an attack on the Romans and do end up killing one soldier. Pilate is furious and wants any suspects rounded up and executed for all to see. As this is happening the Holy Spirit arrives to empower the disciples for their mission. The spirit not only empowers them but enables them to speak in foreign language(s) to the crowd outside. This is a reversal of the Tower of Babel story where God confused man’s language from one to multiple. So now at Pentecost God has “unconfused” the languages to build up His kingdom, which is in direct contrast to man’s attempt at Babel to reach up to God’s level. Peter and the disciples begin their ministry by healing a beggar on the street. Then they go to the temple but are recognized as Jesus disciples and arrested by Caiaphas’ temple guards. They beat Peter and also John and throw them into a cell. Mary Magdalene brings them food and tells them that a few thousand people are now part of the Jesus movement. Thoughts: This was another good episode. It’s interesting that no matter what the authorities did to stop it, the message still got to the people. I liked them bringing Peter’s daughter into the story. She kept begging her father to return home but it is clear that Peter (who felt guilty betraying Jesus before he died) now wants to work hard to fulfill his teachers instructions. Next week we can expect to see the Romans arrest and execute the Zealots and those who oppose Roman rule over the Temple. Galleries: Check out the galleries page to see the characters in action. There are a lot of characters to track of so its worth it to take a look at their faces, names and category groups (Followers of Christ, Temple Authorities, The Romans, Zealots). You can free stream the entire first episode here: NBC’s free showing of The Tomb is Open. The second episode is here: NBC’s free showing of The Body is Gone. Last weeks story “The Tomb is Empty” ended with Caiaphas getting the news that the tomb Jesus was buried in was empty. This week’s episode recounts the aftermath of that event. To the Romans it’s a big inconvenience, and the Jewish leaders think Jesus’ followers (aka disciples) are trying to fake the Resurrection, and the people of Jerusalem are mostly oblivious to it all. So this is a week in history where only the principle players know the stakes and potential risks of what has just happened. The Jewish leaders led by Caiaphas want to find the disciples and quick. If they can find them they can find the body of Jesus (so they think) and parade it through the town to prove that promises of the Resurrection were false. But the temple guards can’t locate them. So they try to get another body that looks like Jesus (with nail marks and bloody scars). But Caiaphas does not think the people will be easily fooled by this (they saw his face and spent time with him). Caiaphas does not want to invent a hoax (after all that is what he is trying to prove the disciples have done). So Caiaphas lies about Jesus to the Roman general Pontius Pilate to stall for time, but Pilate finds out the body is missing from his own guards who were placed at the tomb at Caiaphas’ request. Now Pilate sends out his own team of soldiers to find the disciples. They try to block the gates of the city to disallow any escape, but the Zealots start a riot against the Romans and the apostles then escape back to their home town of Galilee. Pilate then murders any of his soldiers who knew about the disappearance of Jesus’ body because he wants to leave this cruddy town and its strange beliefs. Backing up just a bit. Jesus had returned to the disciples in the upper room where they had been hiding. As per Jesus’ prophecy he would come back to life three days after his crucifixion. Of course they are shocked and also elated. Their sacrifice to follow Jesus was not a waste. In fact his death was not the end but just the beginning of a new life for them all. But one disciple was not there in the upper room to see Jesus. He does not believe the others. That is until Jesus returns again to show him his hands, feet and side, all of the wounds still there from what had happened three days before. Jesus meets them again in Galilee to tell them to return to Jerusalem to wait for a sign that it’s time to preach the message of hope (the Gospel) to all in Jerusalem and throughout the land. Jesus then leaves them to return again some day “on the clouds”. Thoughts: I enjoyed this episode. The Jewish and Roman leaders were both shrewd in predicting the Jesus “cult” could be halted by stopping any stories of his resurrection, but they could not find the body! Mary Magdalene (who wanted to prepare the body for burial) was the first to notice his body missing from the tomb, but found the linens he was wrapped in neatly folded. No single person could have moved the giant stone blocking the entrance. And the disciples could not have gone unnoticed by the guards if they were to try to take it. No one wanted that body to disappear. But it did. Next week we can expect to see the sign that its time for the disciples to become the apostles (those that preach the Good news). Next week: April 19th – The Spirit Arrives. The story picks up before Jesus’ trial and execution on the Roman cross. Jesus infuriates the high priest and the priestly council by using the unique name of God “I am”. The name is holy and is never to be spoken. Fearing an insurrection by the followers of Jesus at the time of the great festival of passover (100’s of thousand visitors are there in Jerusalem), the high priest orders the execution of Jesus, but needs the sentence carried out by the Roman military. Only Rome is allowed to execute criminals and they will only do so if they pose a threat to the Roman emperor’s authority. The high priest convinces the Roman general that Jesus refers to himself as King. After questioning Jesus the general sentences Jesus to death on the cross, but first Jesus is brutally whipped. The followers of Jesus are afraid and try to hide, but Peter is spotted and denies Jesus three times (exactly like Jesus predicted he would). Judas (another follower) regrets his decision to take money in order to give Jesus over the priestly council for questioning (Was Judas greedy or did he just want Jesus to confront the ruling class and take his place in charge of the temple worship?). Meanwhile the Roman governor’s wife is having dreams about Jesus; she thinks he is a good man. They hear about a prophecy that Jesus will survive death and return to lead his new kingdom. So the Romans spear his lifeless body to ensure he is really dead. The high priest is afraid the followers of Jesus will steal his body and pretend that Jesus has risen from the dead, so a small group of Roman soldiers and temple guards are sent to the tomb and it is sealed. The disciples want to flee Jerusalem but Mary mother of Jesus tells them to wait three days, for that is the time Jesus said would occur before he arises. On the third day they find the tomb empty. The guards witnessed some sort of angle opening the tomb. In fear they return to tell the high priest that the body is gone. Thoughts: I found this to be a well made episode. This is a dramatization that highlights certain things about the crucifixion and resurrection that may not be widely understood. First the death of Jesus causes an earthquake that nearly brings down the holy temple. In particular the curtain between the holy place and the most holy place (where only the high priest may enter) is torn in two. Next Joseph of Arimathea and Nicodemus get Jesus’ body and place it in a rich man’s tomb before the body can be eaten by wild animals. Also Mary keeps Jesus’ leg bones from being broken (which is normally the procedure used to remove the body from the cross). The high priest is unaware or he would have stopped this from happening. One thing that works in the disciples favor is that Jerusalem is very crowded for the passover, so the temple guards who are looking for them are not able to find them. Also the disciples meet the sicarii (or dagger men in latin) who want to take revenge against the Romans. They will likely be a big part of the events to come in Jerusalem. If you saw the recent show The Dovekeepers, it’s the sicarii who kill some Romans and then flee to the mountain fort of Masada. The Romans track them down and besiege them there. Galleries: Check out the galleries page to see the characters in action. There are a lot of characters to start with so its worth it to take a look at their faces and names. Next week: April 12th – The Body is Gone.